The 13 inch daisy cutter; for the worlds most wyld ride. Use in a mid-length, vee bottom, hull or centre piece wall-mount in the "good-room"? Superior flex (not too buttery) will give life and hold in wide tail boards and also, allow full, on rail turns. Ideal board types and fin placements for 13" Daisy Cutter. 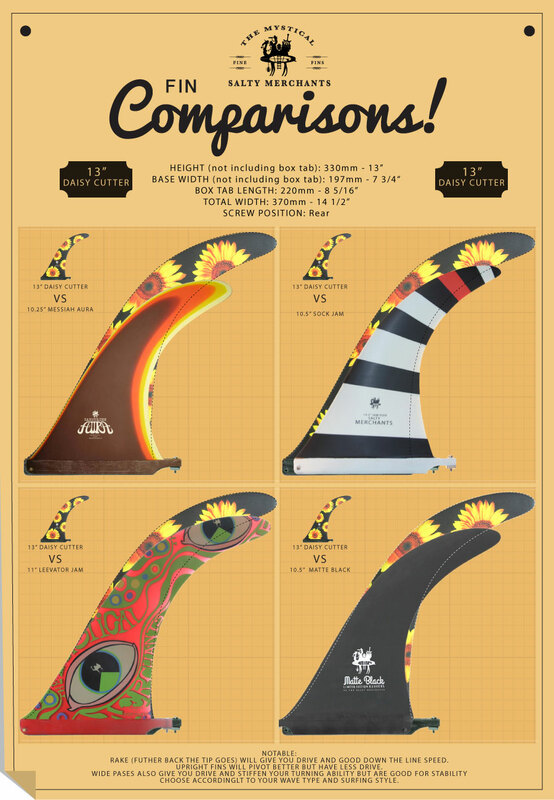 Compare 13" Daisy Cutter to other flex fins in the range. A more versatile alternative, very well suited to mid lengths.